We are one of the prominent Pressure Relief Valve Exporters based in India. Our High Pressure Relief Valve is appropriate for use in pressure valves, pipelines and reactors to control the excess pressure. Our Boiler Pressure Relief Valve is high in demand in process and engineering industries because of its wear resistance and low maintenance cost. 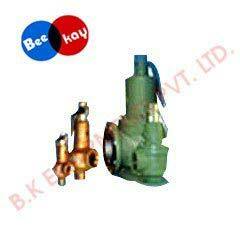 We are counted among Low Pressure Relief Valve Suppliers. Our temperature pressure relief valve ensures that if the pressure exceeds the set point then the valve will open and close automatically as per pre-settled pressure ratios. They offer excellent performance and have a durable life.